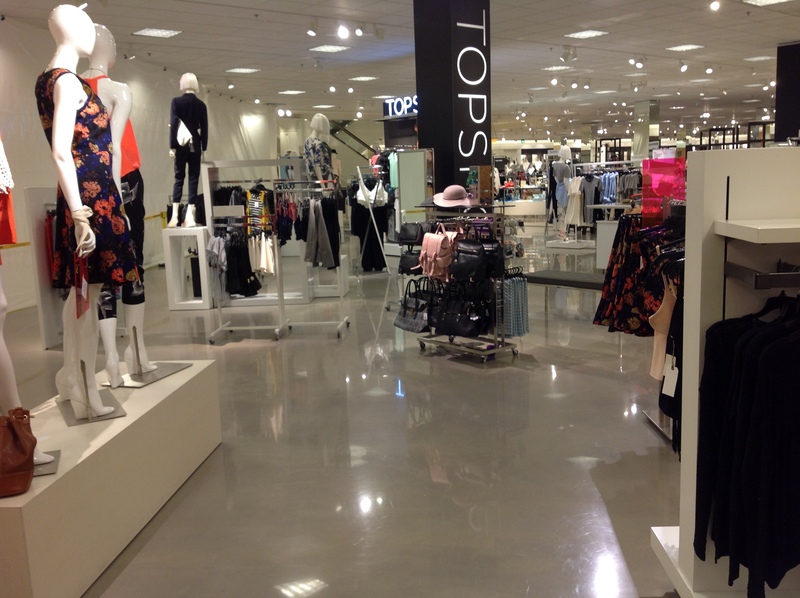 Last week one of our customers, Applied Flooring, had a job in Troy, MI at a Nordstrom store. 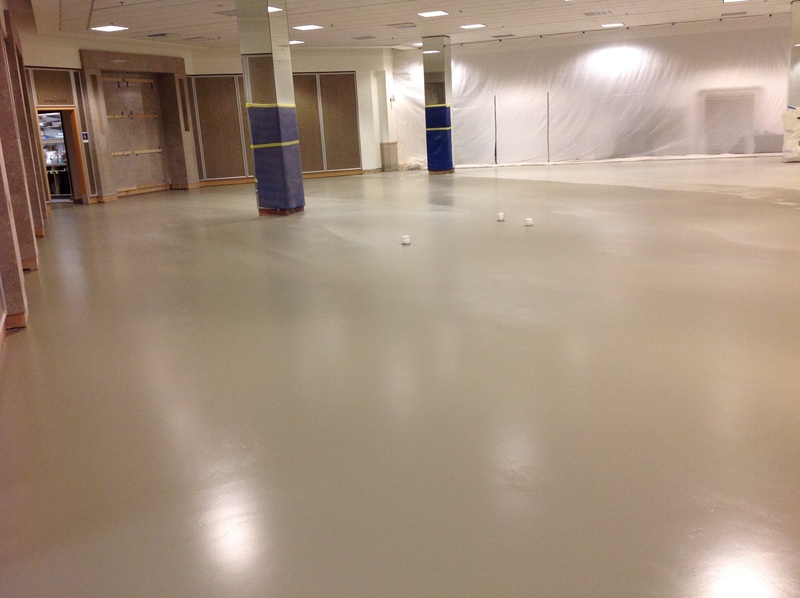 Along with the Applied crew, the Nordstrom GC and technicians from CTS Rapid Set and Metzger/McGuire helped complete this floor. Below are the before pictures, showing the extensive structural damage. Because of so many cracks breaking up the surface, the crew wasn’t able to polish first thing. Instead, the first step was filling the cracks. 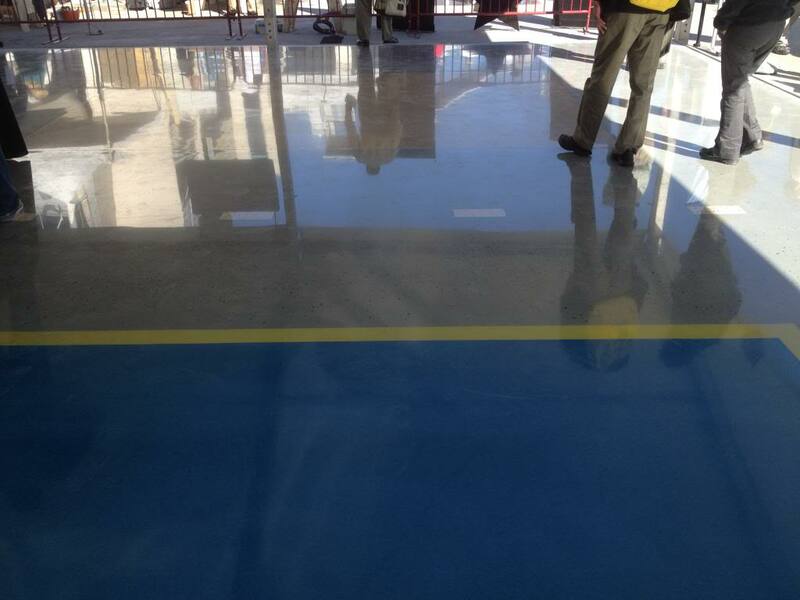 Then, once the concrete floor was repaired, an overlay was applied, the control joints were cleaned and recut and the concrete was colored. 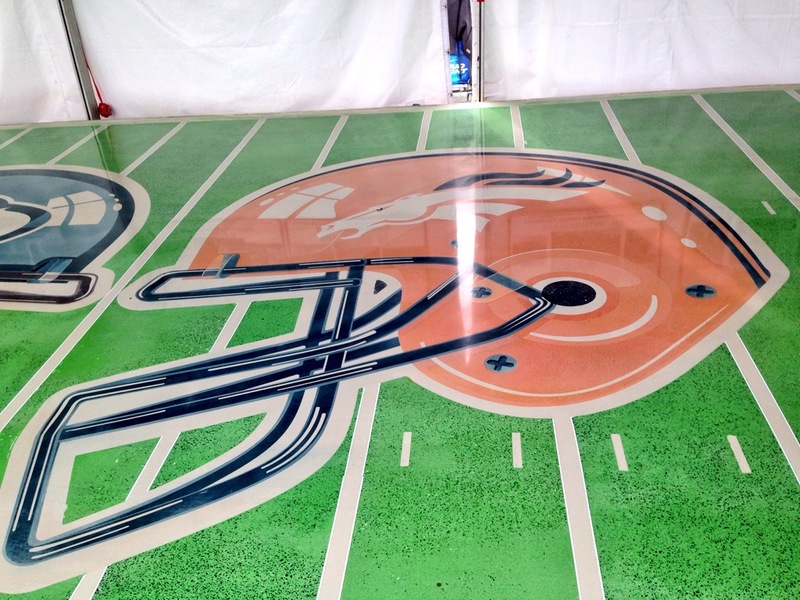 Below you can see the process from initial pour to finished look. 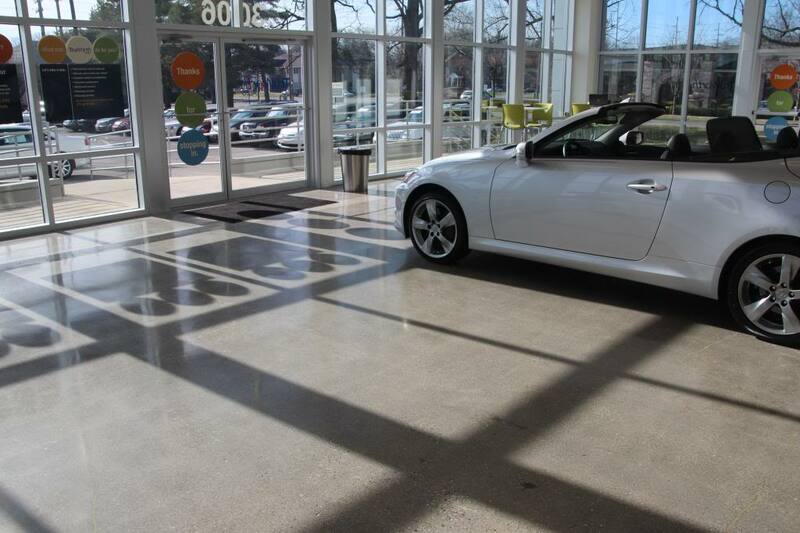 Applied Flooring used CTS Rapid Set’s TRU self-leveling overlay on the floor, and colored it with AmeriPolish OS dye. The crew worked in 20-degree weather and wrangled both the water and pump hoses from outside in the parking lot up a flight of stairs to the work area. 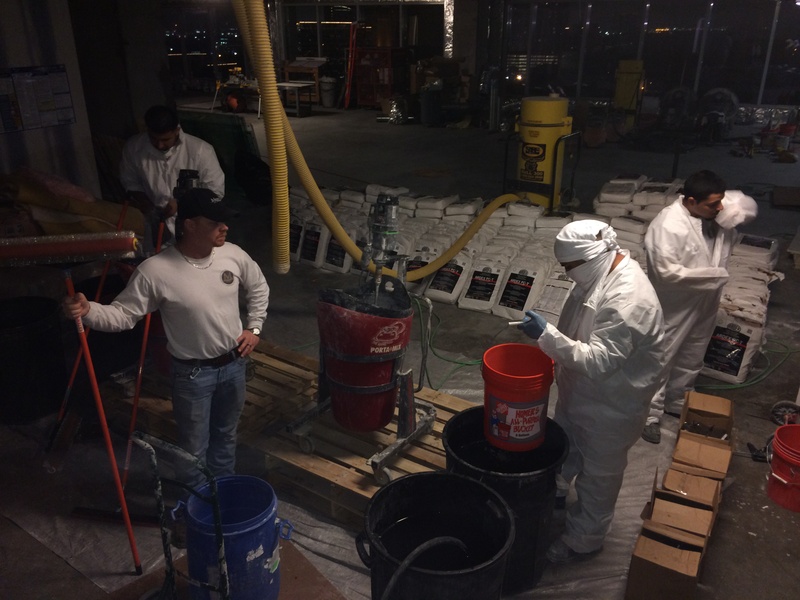 The 300′ water hose and 400′ pump hose were at their maximum lengths. Applied made it work though, and after the overlay was laid they moved into the color application stage. One of the biggest takeaways from this particular job revolved around the importance of color intensity. Initially, OS integral color was used, but the pigment wasn’t strong enough, so the dye was applied after the fact to accommodate the time-sensitive nature of this project and to best utilize resources. 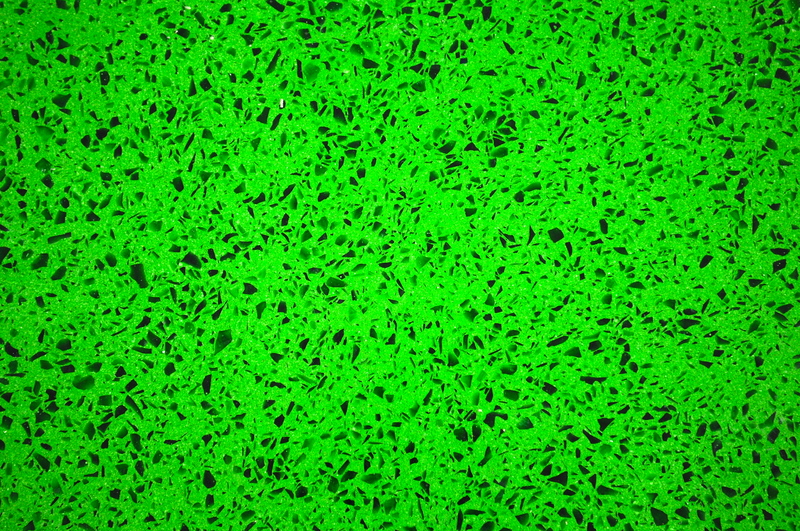 Below you can see the floor after the second pour of TRU, the floor after 3DHS densifier was applied and finally, the polishing stage. 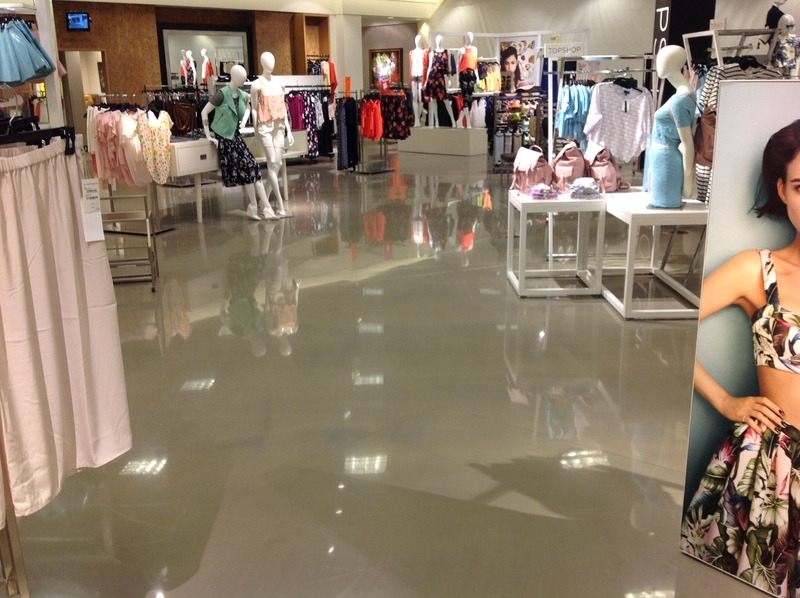 Although there were a few unexpected surprises throughout this process, as is common with any job, Nordstrom was incredibly satisfied with the final polished floor. 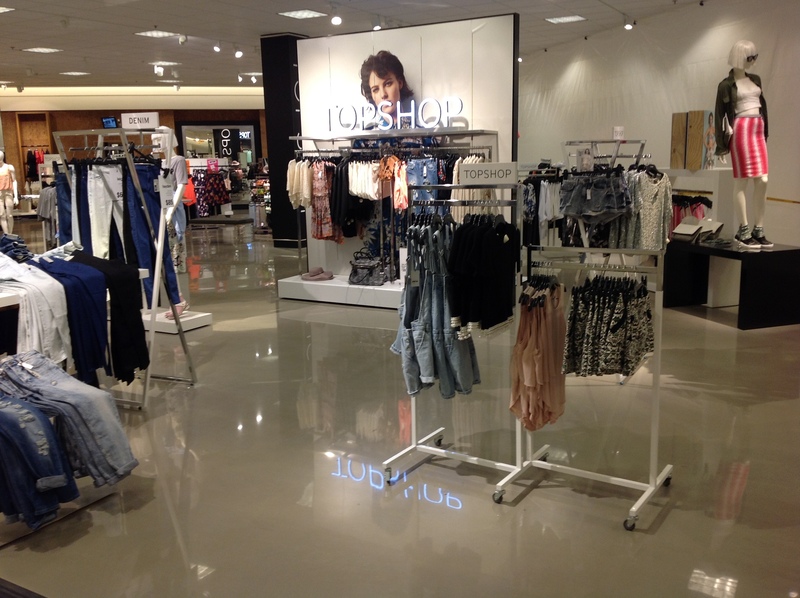 You can see below how reflective and high-end this space appears, especially after the merchandise was moved back in. As always, if you have any questions about the products or the processes used for this particular job, please feel free to reach out via our website or in the comment section below. We would love to hear from you! And if you ever need additional support at a job, feel free to reach out to our technical support team and we will assistant in any way possible, even if it means flying to you! 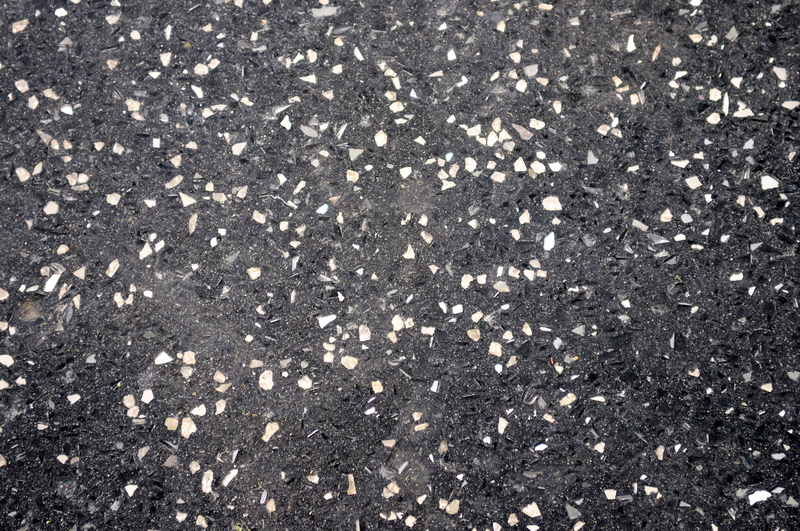 Concrete creates an incredibly durable surface, and rightfully so considering how common it is in many industrial and commercial environments. 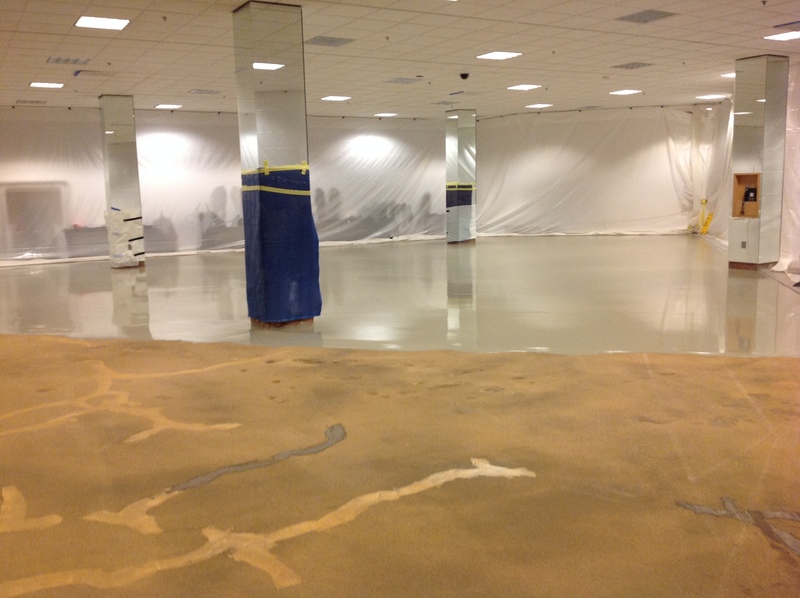 Look around any mall, government building, doctor’s office, or really any business and you’re likely to find concrete floors. 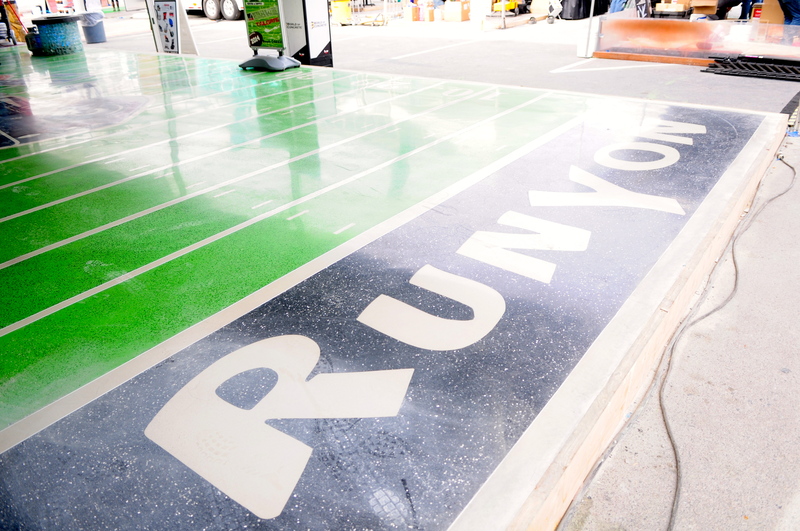 Due to its incredible wearability and resistance to stains, foot traffic, etc. 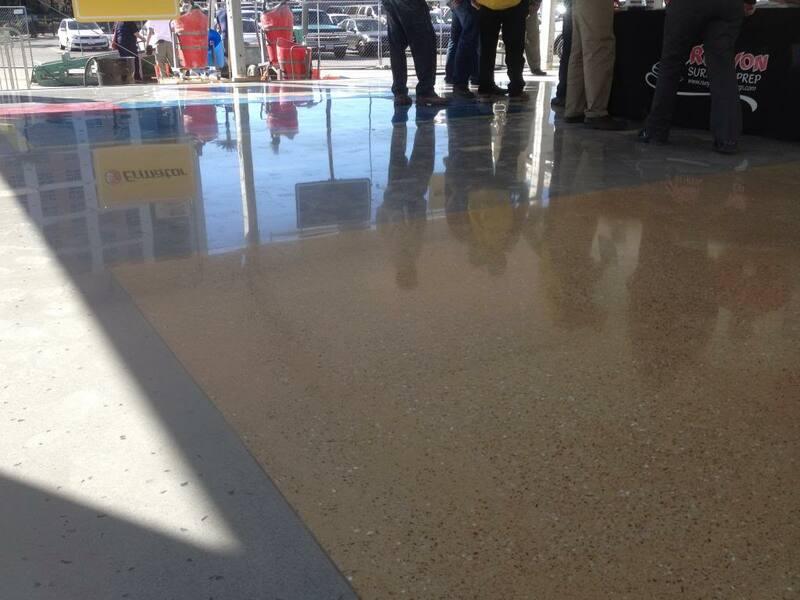 (when maintained properly that is), it’s no wonder that polished concrete is quickly taking the place of carpeting, tile or hardwood in commercial floor settings. 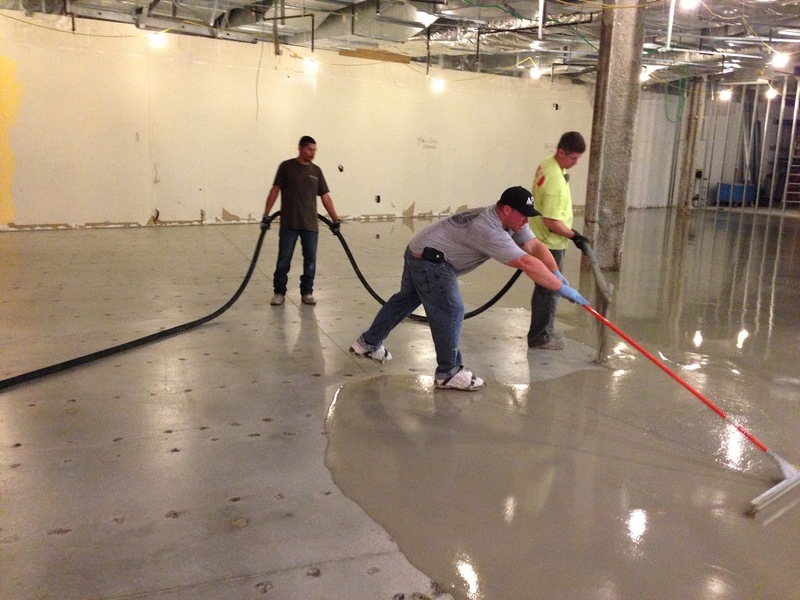 M&C Concrete is a local Indianapolis contracting company that realizes this fact, which accounts for its wide array of clients, as evidenced below. 3. 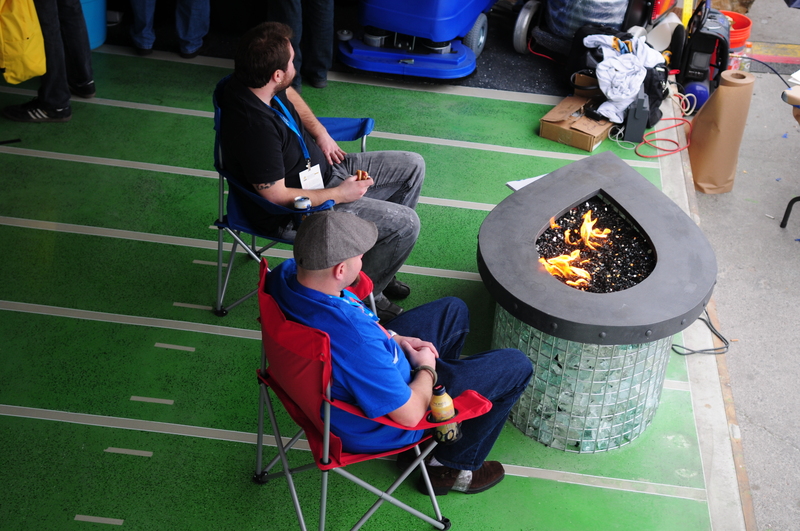 World of Concrete 2013: M&C helped us lay the concrete slab, grind, polish, etc. 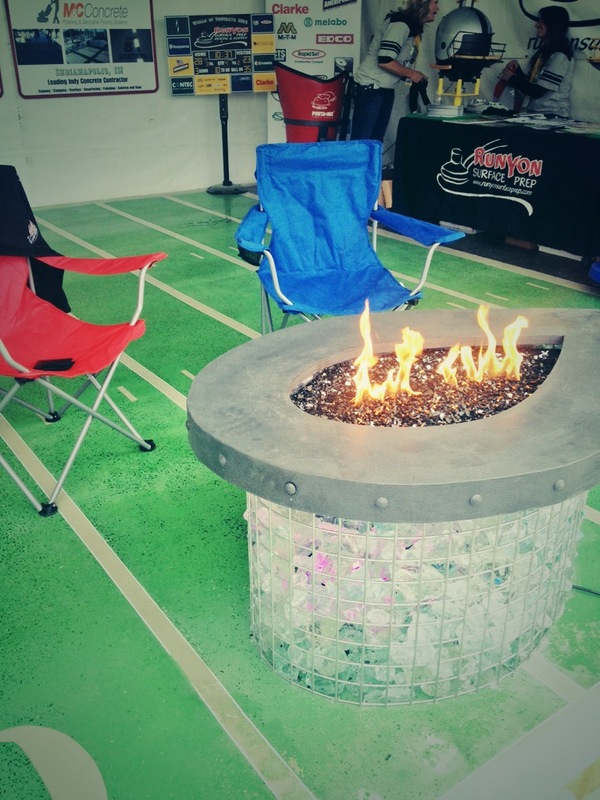 M&C Concrete is a leading concrete contractor in the greater Indianapolis market. 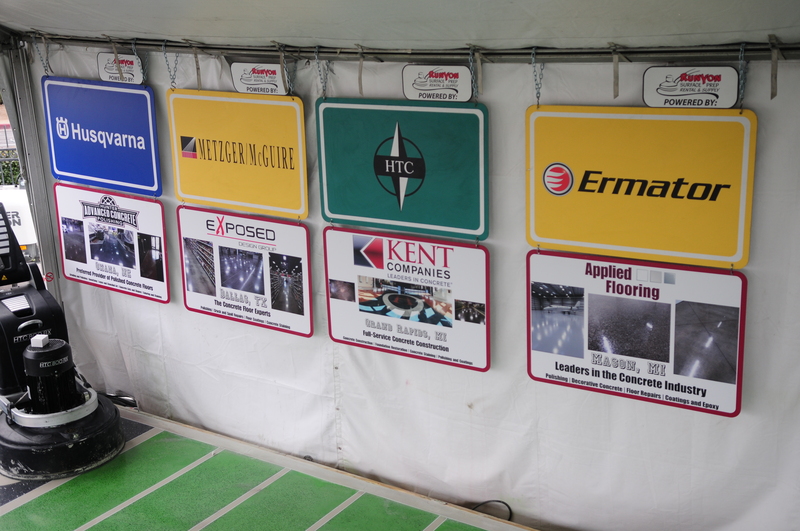 Established in 1982, it has successfully completed over 10,000 projects in both residential and commercial sites. As a leader in the industry, M&C strives for customer satisfaction, on-time project completion and being at the forefront of the latest concrete design and construction. For more information about M&C, the products, the process, etc. please feel free to contact us or leave a comment below. Also, be sure to check out our other customer features! 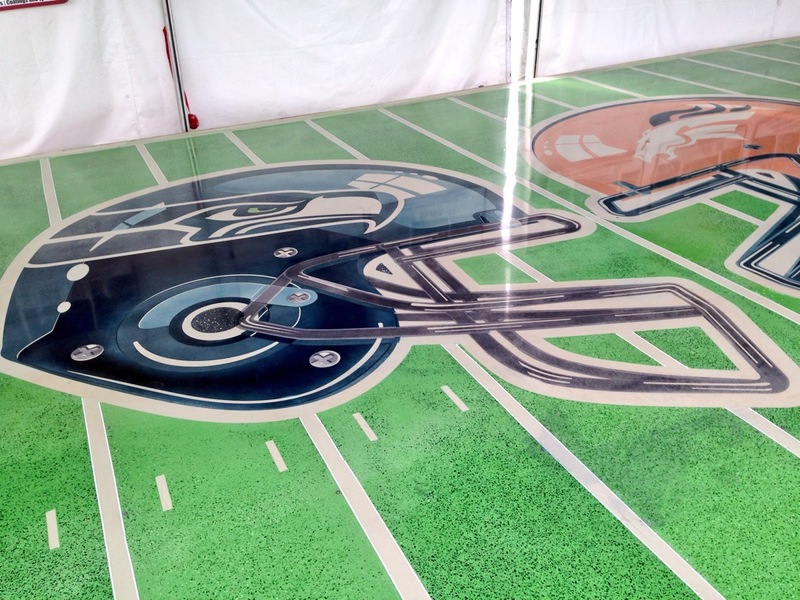 Arguably, the core foundation and integral measure of quality for any concrete slab is determined by the overlay. 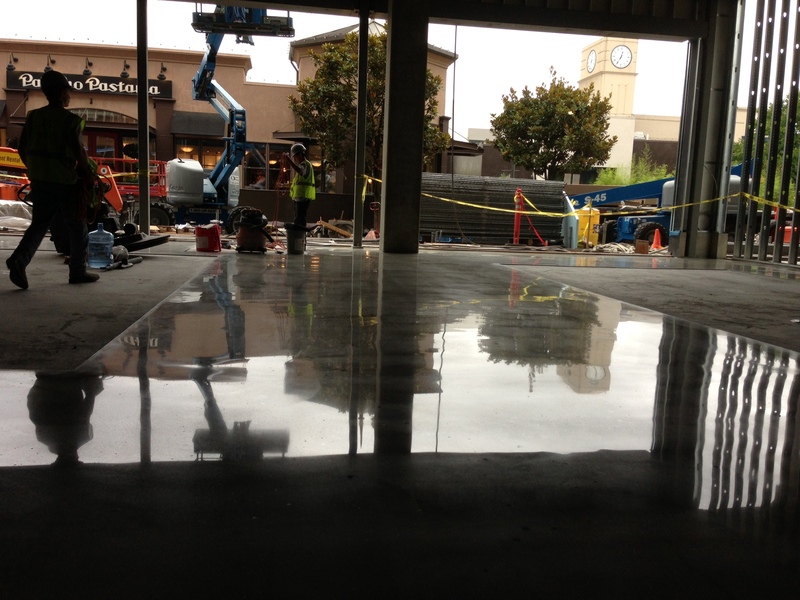 Without a properly mixed, poured and spread concrete overlay, every other step in the concrete polishing process may suffer. 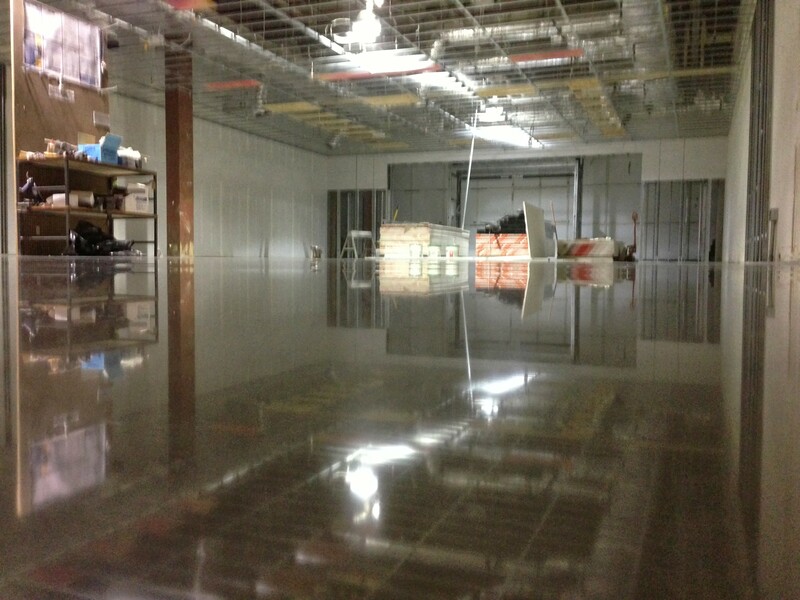 ModernCrete is intimately aware of this fact, which is why their crew is so adamant about laying concrete floors that are well-prepared and executed. 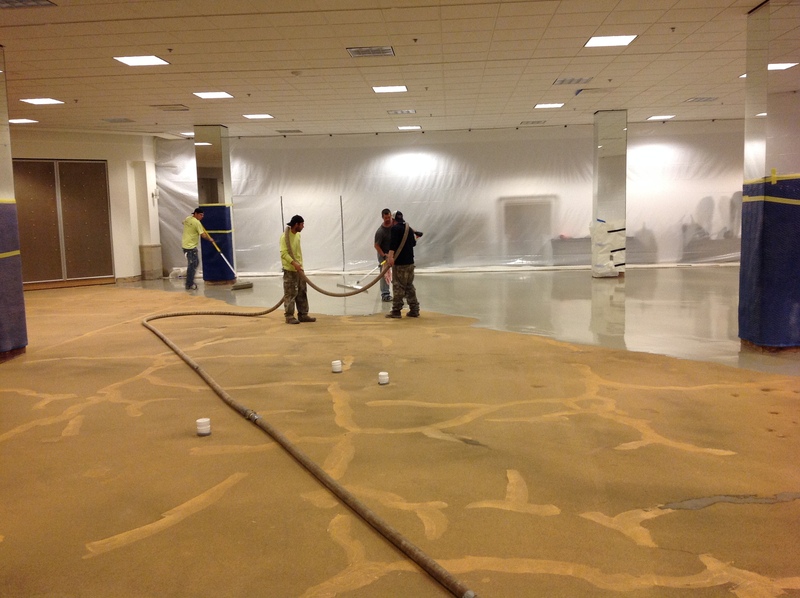 It’s safe to say they excel at it, with an average overlay installation rate at 250,000-400,000 square feet per year. ModernCrete’s attention and devotion to quality flooring inevitably results in beautiful, finished surfaces, as captured in the images below. The photos above were actually taken from 3 different projects, but they aptly display the steps of a typical concrete overlay application. 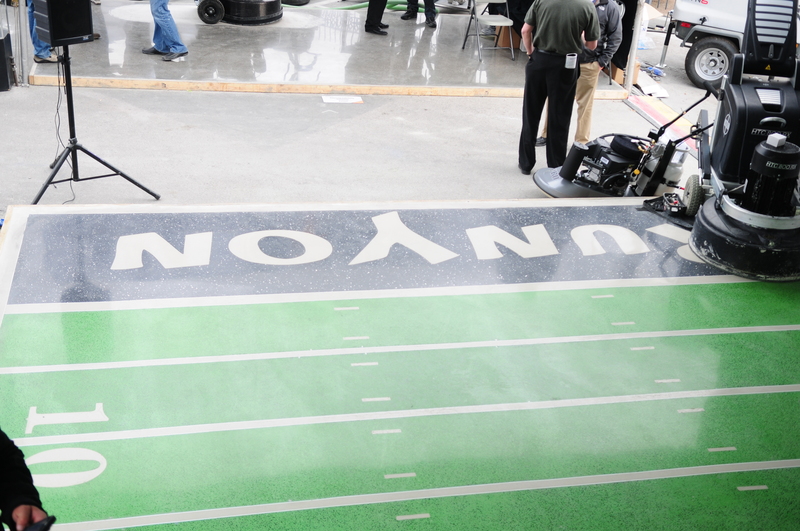 The photos with hippo mixers were taken at a 5,000 square foot overlay in Houston, TX. 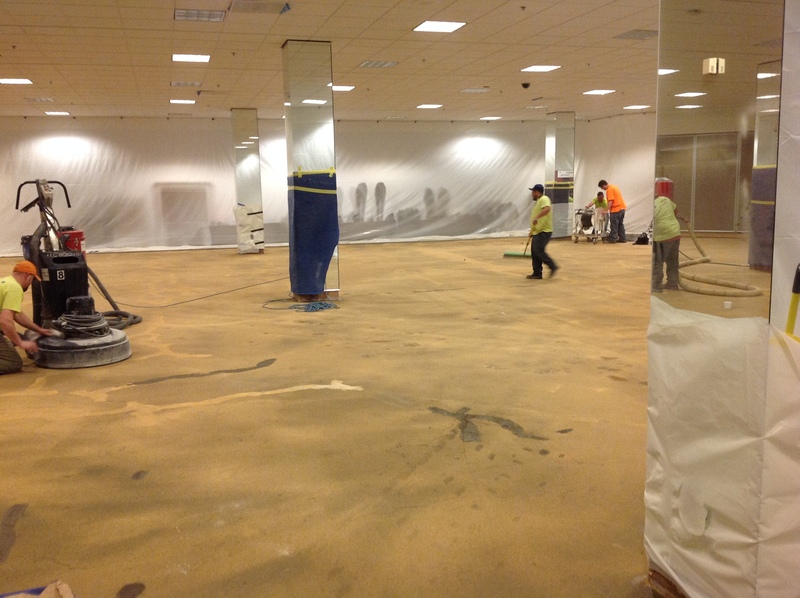 On this job site the ModernCrete crew used 450 bags of Ardex PCT and AmeriPolish integral color. 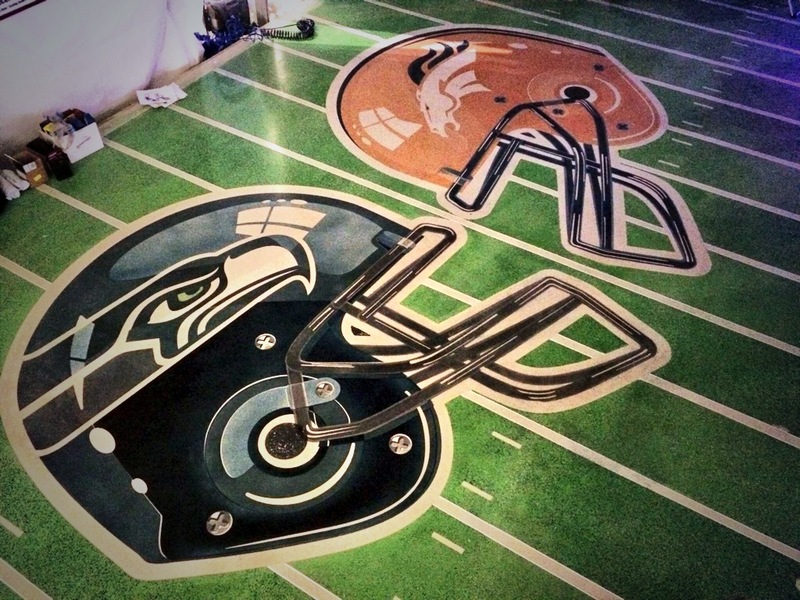 They then used HTC grinders with the Fenix system to polish the floor to a 3000 grit polish. 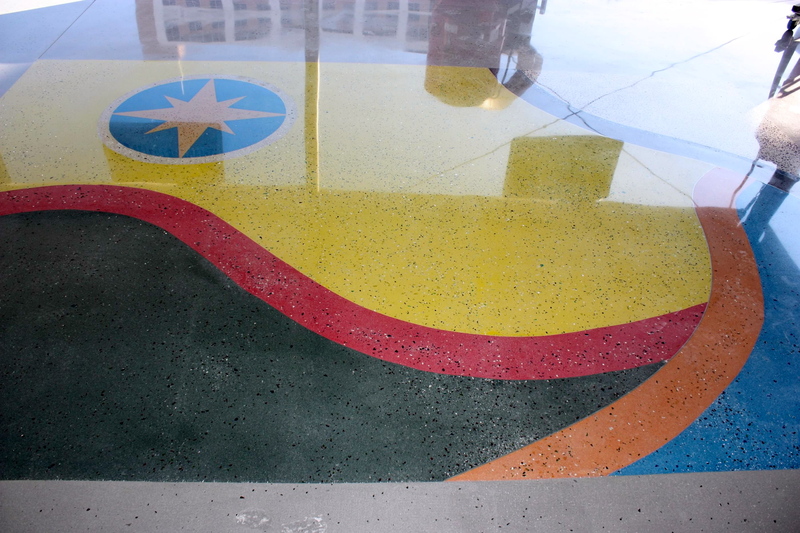 ModernCrete Concrete Design is a full service decorative concrete firm. 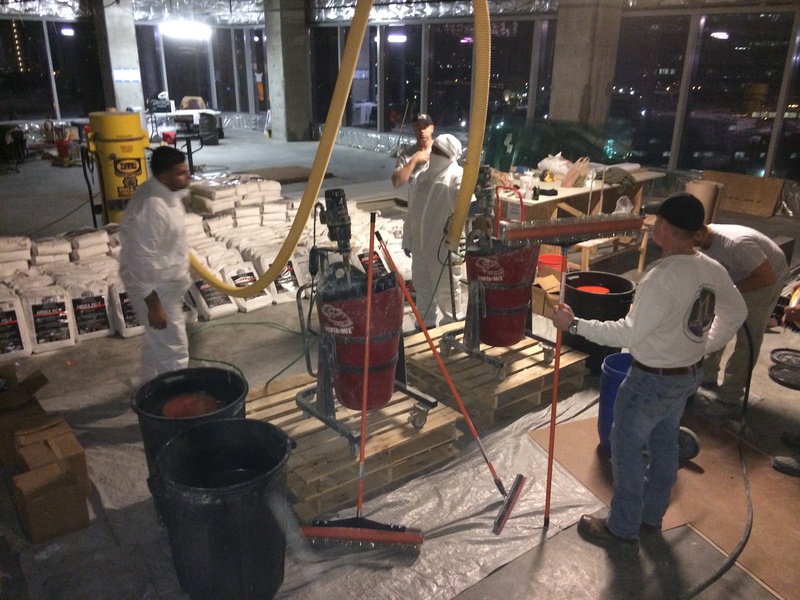 It is headquarted in Austin, Texas – an environment perfect for the energy and artisanship operations vital to decorative concrete. 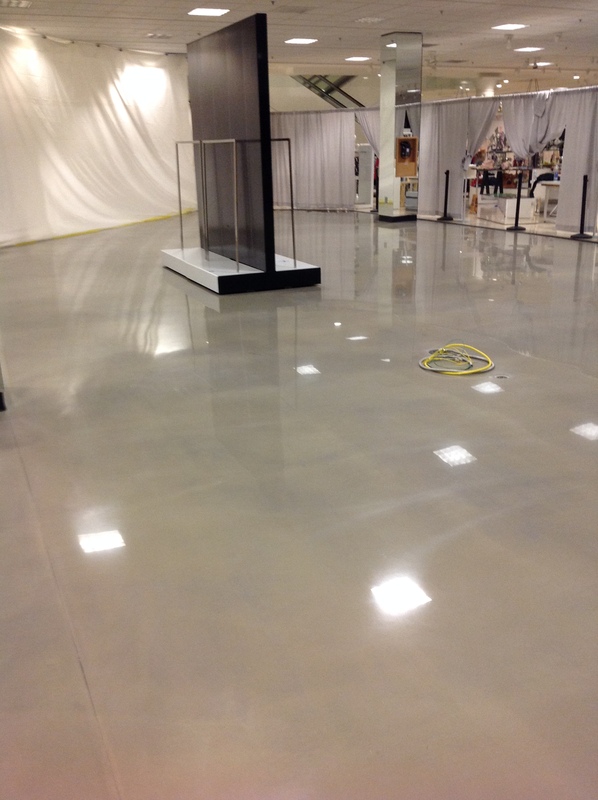 Making concrete floors beautiful has been ModernCrete’s passion since 2001. It uses state of the art techniques and tools for superior results. Pride of workmanship is a hallmark of this company and its employees. 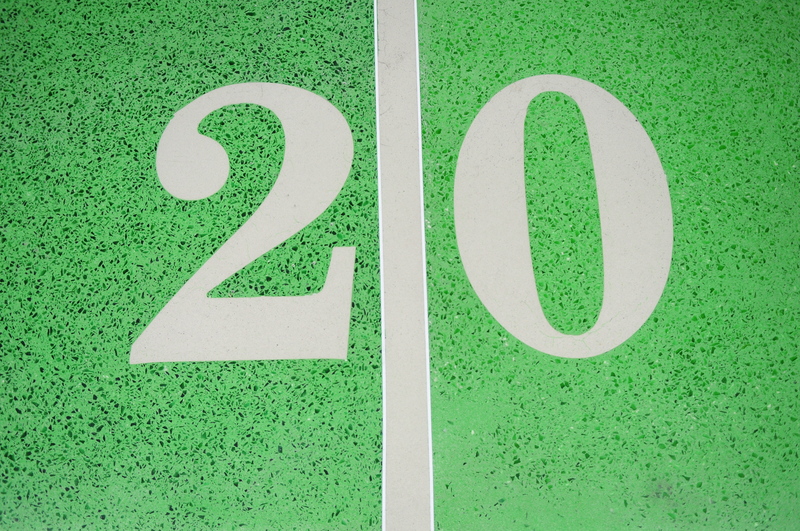 And above all else, customer focused quality is integral. 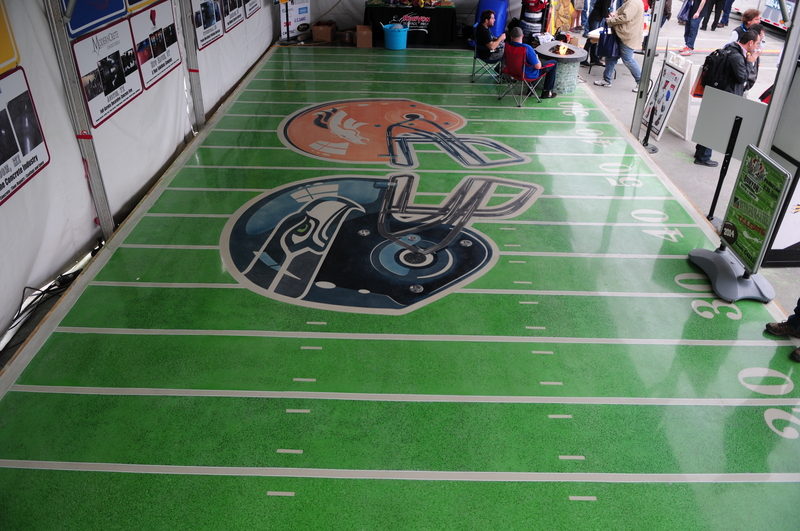 ModernCrete is committed to understanding your needs and making your concrete vision come to life. 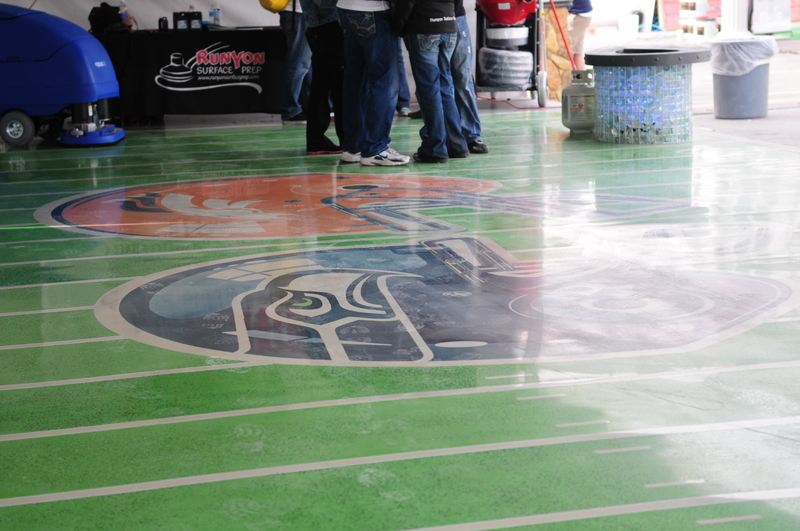 For more information about how to properly apply a concrete overlay, the prep work involved, which products to use, etc. please contact us or write us in the comment section below. And to see more “real life” projects, visit our customer highlights category. 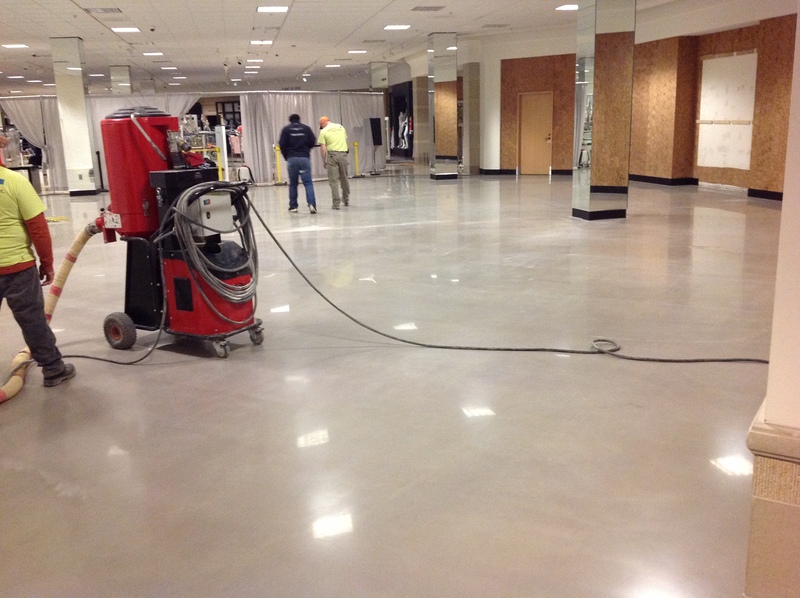 Shiny, yet bland concrete floors are not suitable for every business, which is why the trend toward decorative concrete flooring is so prominent. 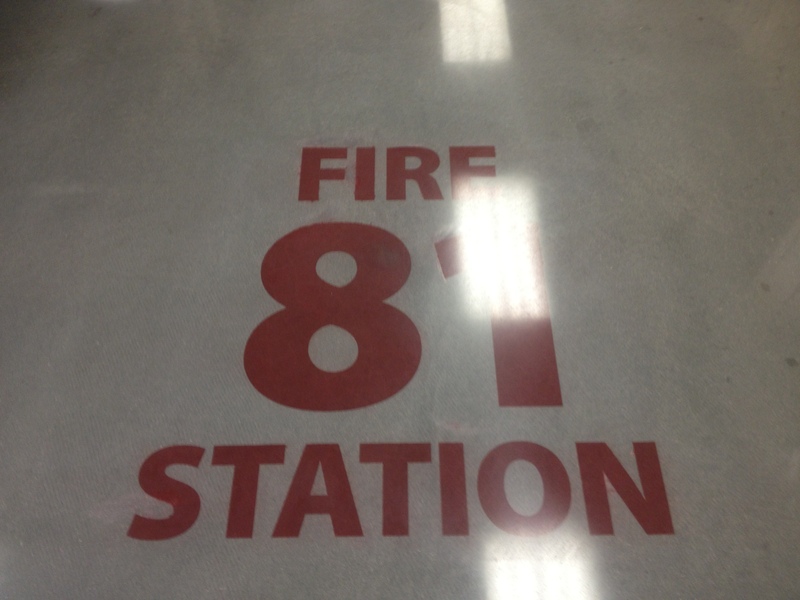 Decorative concrete is especially helpful for company branding purposes, or to make a bright and impactful statement in an indoor or outdoor space. 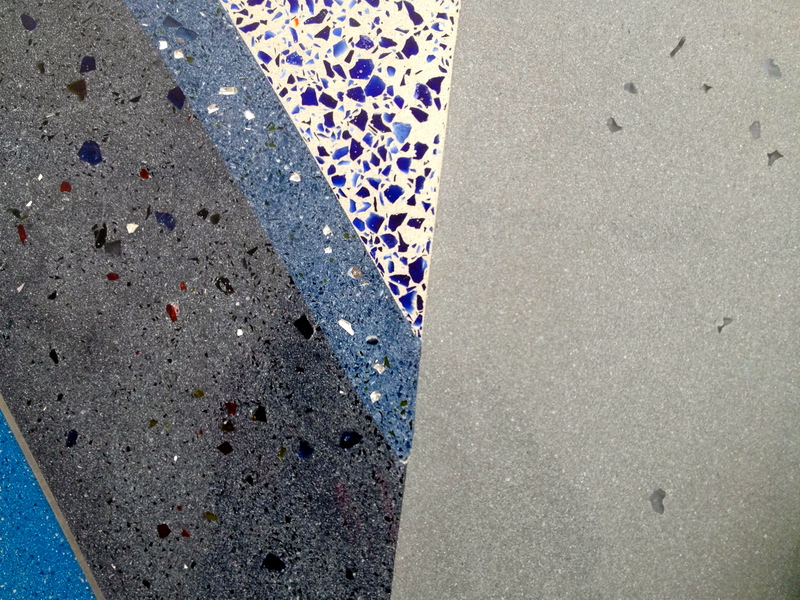 One of the main ways to achieve a colorful and dynamic polished look is by incorporating glass into concrete overlay. There are two recommended methods with which to accomplish this – either by mixing integrally or by broadcasting. 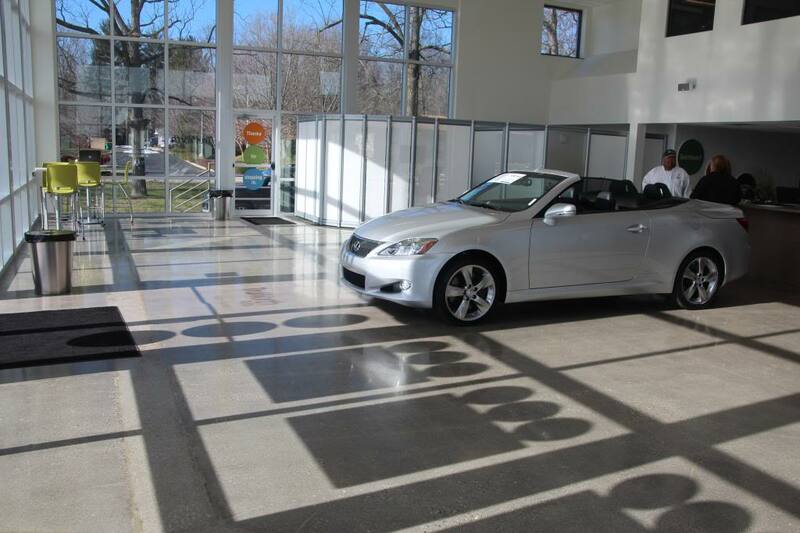 And throughout both processes, it is recommended you use CTS Rapid Set’s TRU Self-Leveling overlay, glass from American Specialty Glass, integral color from Ameripolish and CS Unitec’s HIPPO Porta-Mix. For the first option, it is recommended you mix the overlay initially. If you are using Ameripolish’s integral color, the water and dye are mixed together before the overlay material is added. Next, screen the product with a 1/8” classifier to remove any unmixed material or clumps. Lastly, mix the glass with the overlay. This technique is ideal for a 50% load using size 0 or size 1 glass. You want to use smaller glass because then it has a better opportunity to stay close to the surface when placing it on the floor. In terms of the finishing technique, you can generally gauge the rake depth at 3/8” depending on the load. Be sure not to use a spiked roller – it would only succeed in pushing the glass around. Rather, for mixing integrally, the preferred finishing method is with a smoothie. Choosing to broadcast is a much more delicate process than mixing integrally, the primary reason being that this option really depends on the set time of the overlay. If you throw the glass too early, it will all sink to the bottom, meaning it isn’t visible. Conversely, if you wait too long, the glass will sit on the surface, not penetrating, and could be pulled out of the overlay during the initial grind. The size of the glass influences when to broadcast since the weight of the glass is relational to the size. You can use up to a size 2, but generally size 1 is best. If the glass is larger, thus heavier, then you should wait longer. Whereas, if the glass is smaller and lighter, then broadcast sooner. Again, keep in mind: this is a delicate process, so time this as accurately as possible. When you do the initial grind, be sure to grind the surface enough to where there is not a void between the glass and the TRU – you want the two to bond or else the polish will be diminished. Also, be aware that when you broadcast, it is difficult not to have pull-out. We have used a grout coat from Husqvarna and Metzger/McGuire to fill the pit left behind when the glass is removed. When you get to the third step, consider using a new porcupine roller on the market, one that Joe Zingale from CTS Rapid Set recommends. The spikes are stainless steel and are 1.25″ in length. The advantage to this new roller – it doesn’t leave spike marks in the TRU like plastic spike rollers do. This new metal roller has pin-like spikes, meaning they aren’t as thick. Once the four-step process is complete, and the initial set of the overlay occurs, do not use a trowel or any other tool to press down glass that did not fully penetrate the overlay. Doing so will leave an impression, which could be difficult to get out. While not usually a common method, it is possible to combine the above two techniques into a hybrid approach. 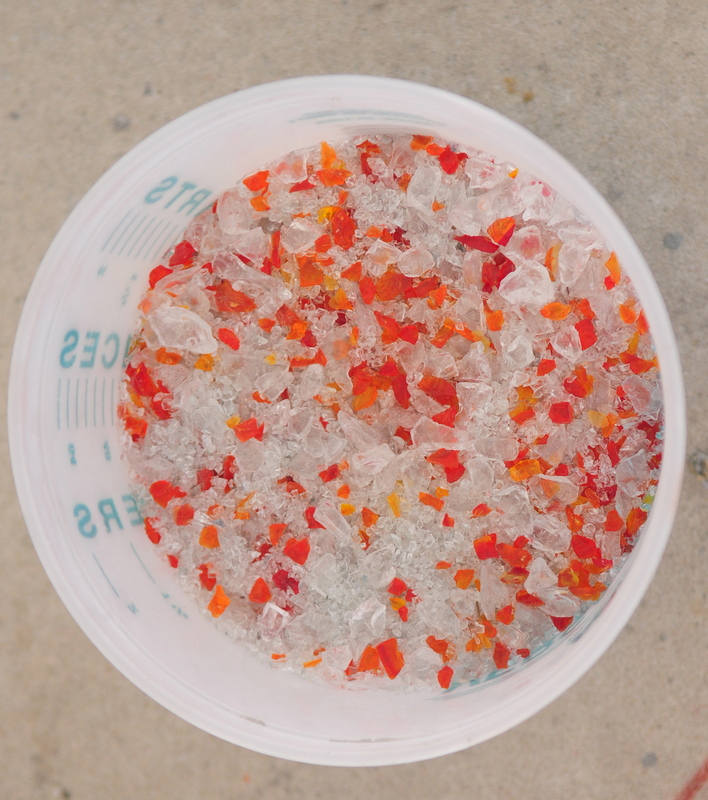 Meaning, you would first mix the glass integrally, and then you would broadcast after the product is placed. However, bear in mind that this is only effective with a load less than 50%. 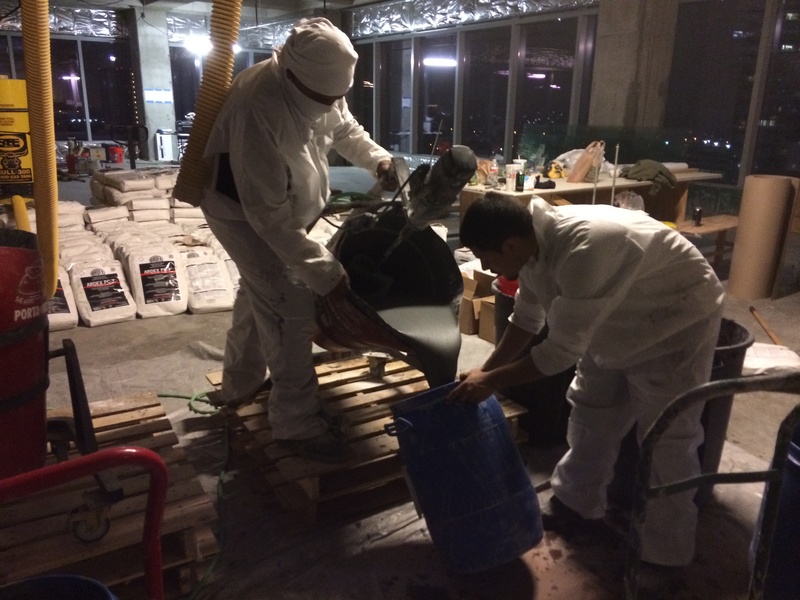 This is really only a surface level understanding of the glass-infused concrete overlay process, and after mixing integrally or broadcasting the final step is grinding and polishing. 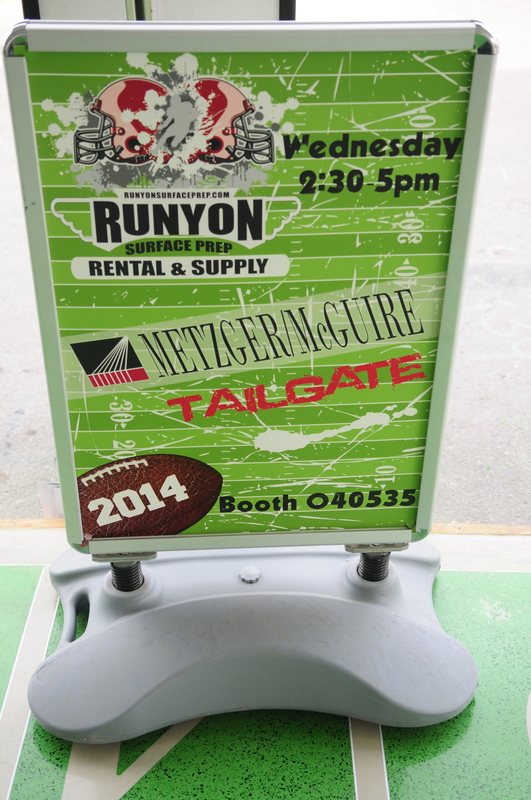 If you would like to learn more about the next step, or how to implement the above listed techniques, then contact a Runyon Surface Prep sales rep, or for more on the products needed during this process visit the Runyon Surface Prep website. To view this post in its original article form, see the Concrete Decor post here. You may wonder how to most effectively integrate concrete overlay and decorative glass, well this infographic shows you how via two methods: broadcasting or mixing integrally. Each method has its respective steps and quick tips to walk you through whichever process you choose. And depending on the look you want, one may be more desirable than the other. Broadcasting is the most common, but mixing integrally is also a traditional alternative. Use this infographic as a guide, and good luck creating your gorgeous glass-infused decorative concrete surface! If you would like more information about this infographic, specifics on either process, buying product, etc. please visit our website or contact us. We would be delighted to assist you!